And you could start to see things taking shape! 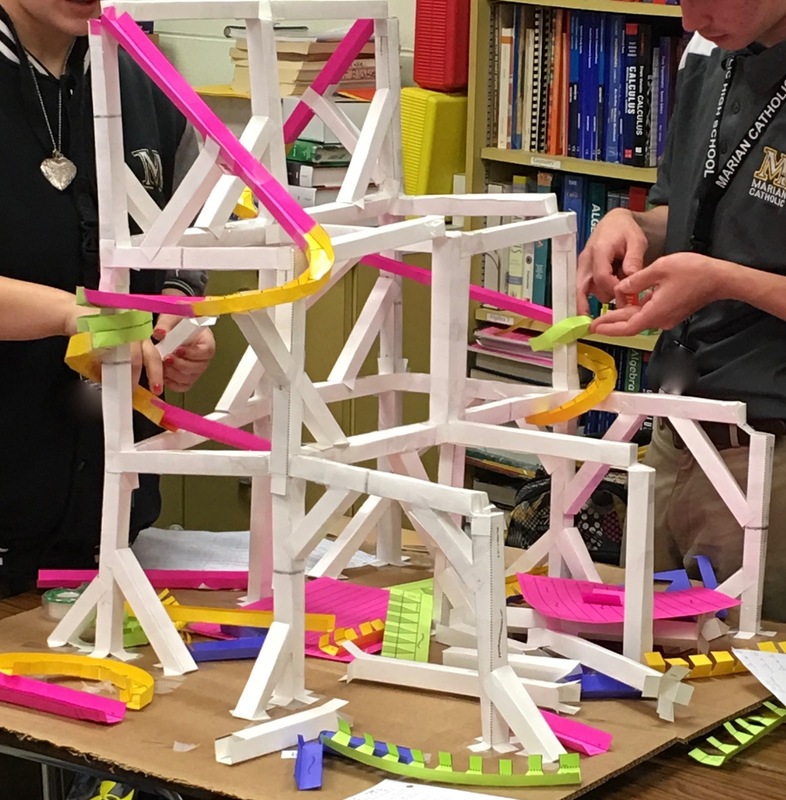 Next, they were ready to start cutting the pieces to make the actual roller coaster. There were several days necessary to get the roller coasters made. Here are a few pictures of the process. 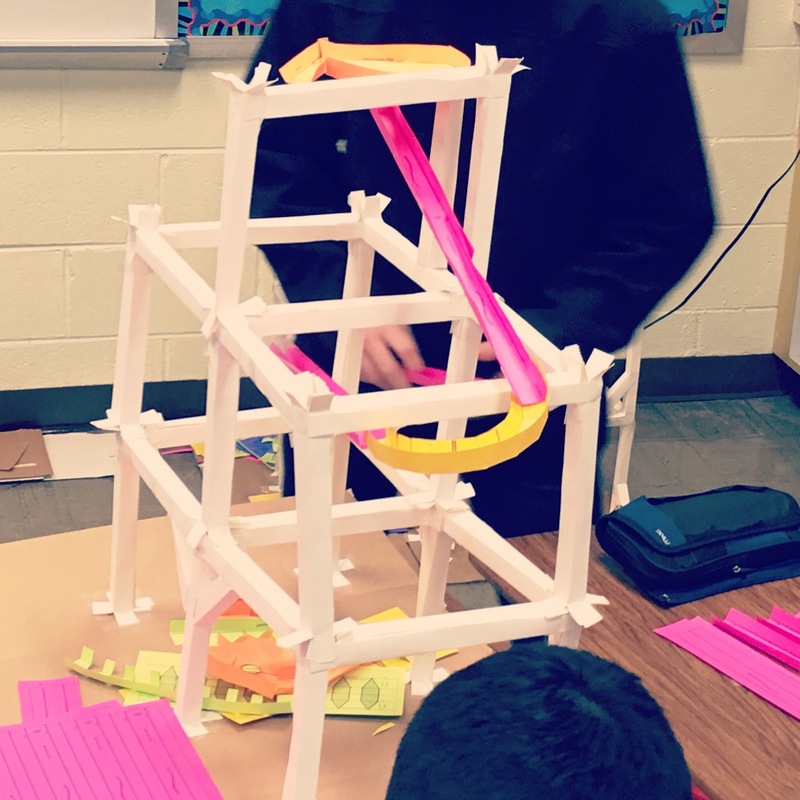 Finally, at the end of two weeks of working on the roller coasters every class period, we had the finished product. All of the roller coasters were tested by running a marble through each one...they all worked!!! 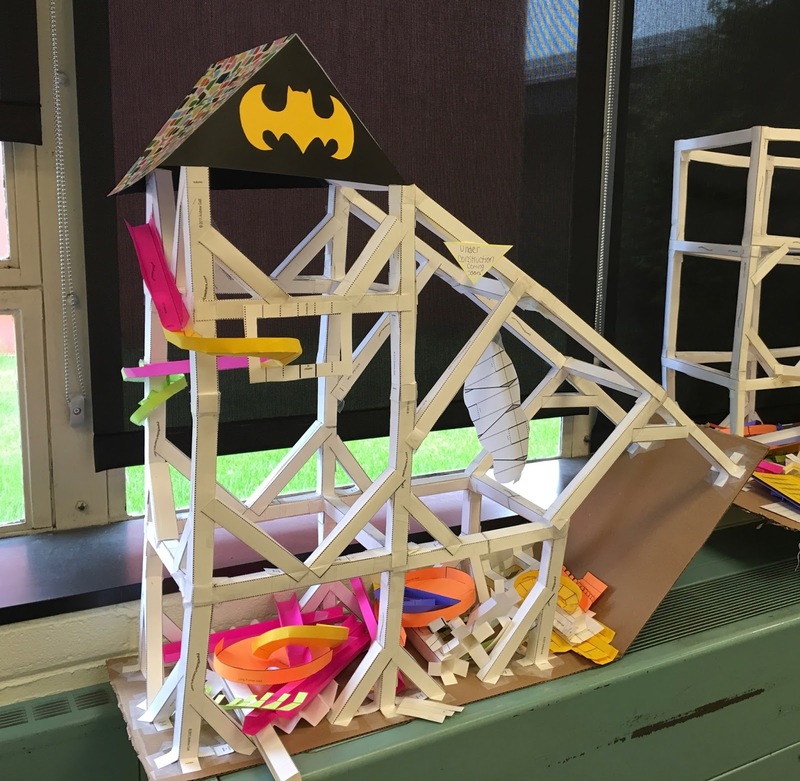 Students came up with interesting features and themes for each of their roller coasters. They did so much hard work, that I even gave everyone 5 points extra credit! 1) This project takes a lot of tape. Ask students to bring in a roll each. 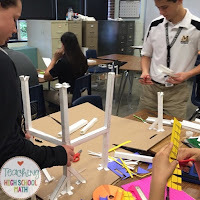 2) Depending on how long you want this project to take, have students cut out their pieces at home. 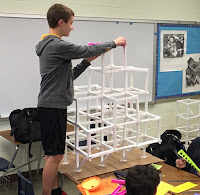 3) I didn't have any problem getting the students invested in this project - there was no rubric. But, depending on your class, you might need one. 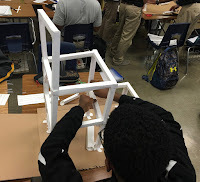 4) Students need cardboard for the base of this project. You might ask students to bring boxes from home and then cut them up for the bases. I order frequently from amazon, and so I started saving my amazon boxes and they worked well. Also, I asked my cafeteria manager to save food boxes for me. 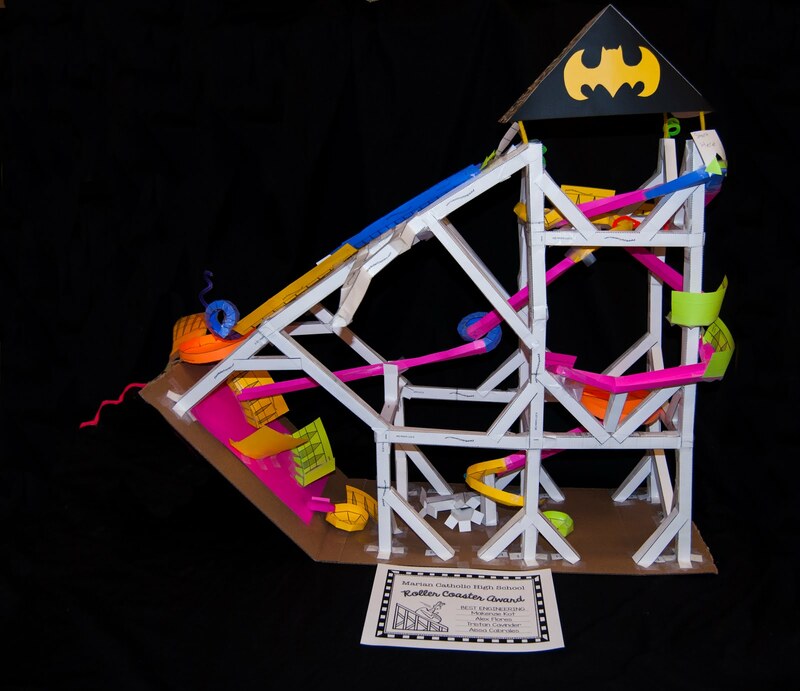 Finally, one of the tech people at my school gave some of my roller coasters a professional photo shoot! Here are a few of the finished products. 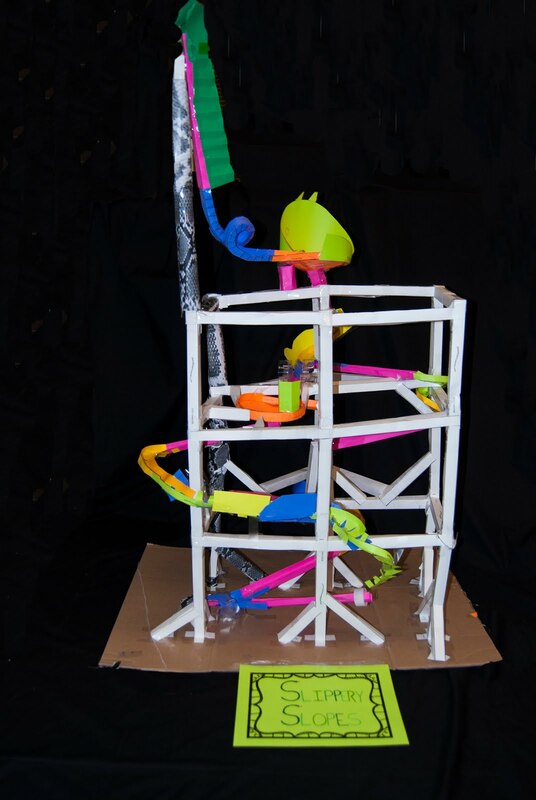 This is one of the coolest end of year projects I have ever seen! Do you think you and I could collaborate on a Classkick assignment that makes it available to geometry teachers everywhere? I also did this at the end of the school year. Students loved it!!!!!!! I'm a teacher in Québec city and I work for the association québecoise of mathematical game (AQJM). 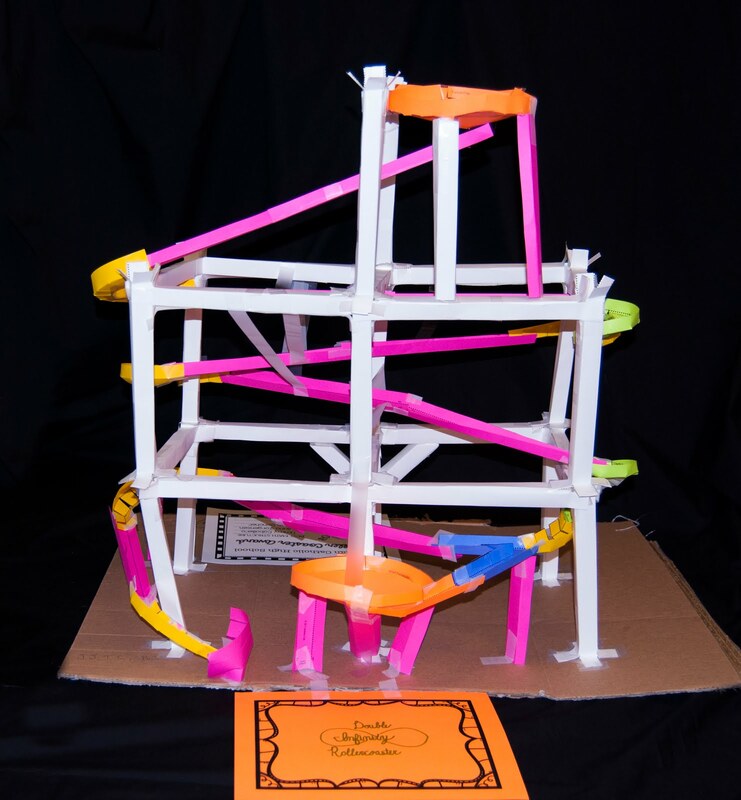 Our association aims at showing that the mathematics can be playful. We have a weebsite or we we propose mathematical magic trick, activity and more. 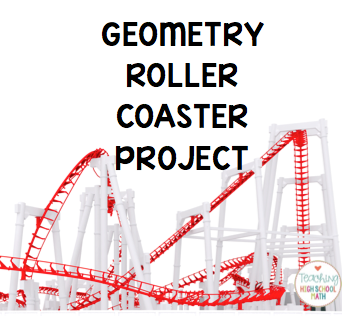 I saw on Pinterest your geometry roller coaster project and I'd like propose your activity on my weeb site www.semainedesmaths.ulaval.ca. for the student. Can I use your project? I am going to register a reference toward you. 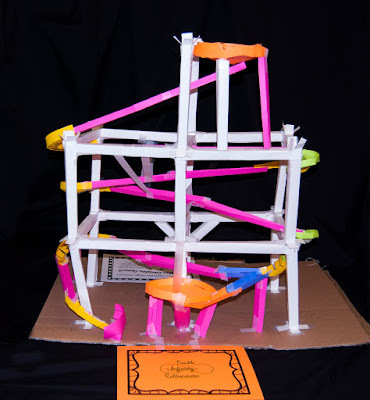 Are there standards or a particular unit/topic that this project blends well with? Or is it just a fun activity? Anyone aware of where to access the steps (lessons?) to follow for this project. 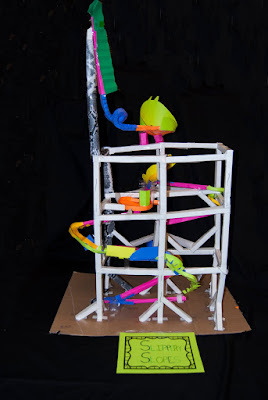 I would love to create this in our maker space this spring if possible. Great activity! I loved this as well and would love to set it up for an end of year project for my class. Would it be possible to see the steps followed by the students? 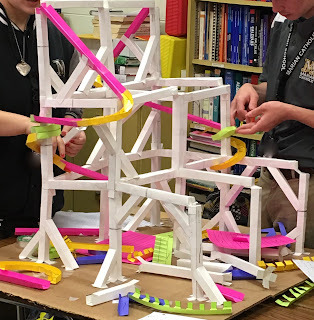 Truly fun looking activity! How many students did you assign per team? How many copies does each team need? I purchased the download link so I can print my own sets. Awesome project, which grade would you reccomend it for? I used this for energy transfer in a physics class. Now I am thinking... How can I collaborate with the geometry teacher?! Did you cover Geometry standards that this project covered or was it just a fun activity? How many students did you put together for each one? Would really like to do this and was wondering how and where to tie it in. Thanks! Out of words, while writing assignment for university? No problem student assignment help experts will take care of your academic tasks and offer quality solutions.